"Kontsika 1" is a mid-scale grid-connected Photovoltaic Plant. It is located in Ioannina, Greece, and has a production capacity of 352 kWp. 1408 Canadian Solar CS6P panels. 20 SMA Tripower 17000TL inverters. 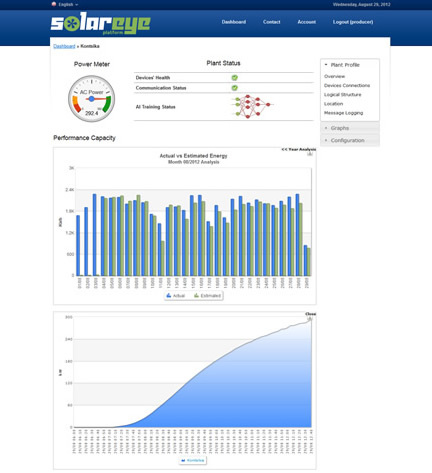 1 SolarMonitor 2 data logger.